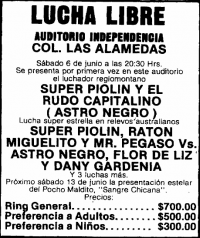 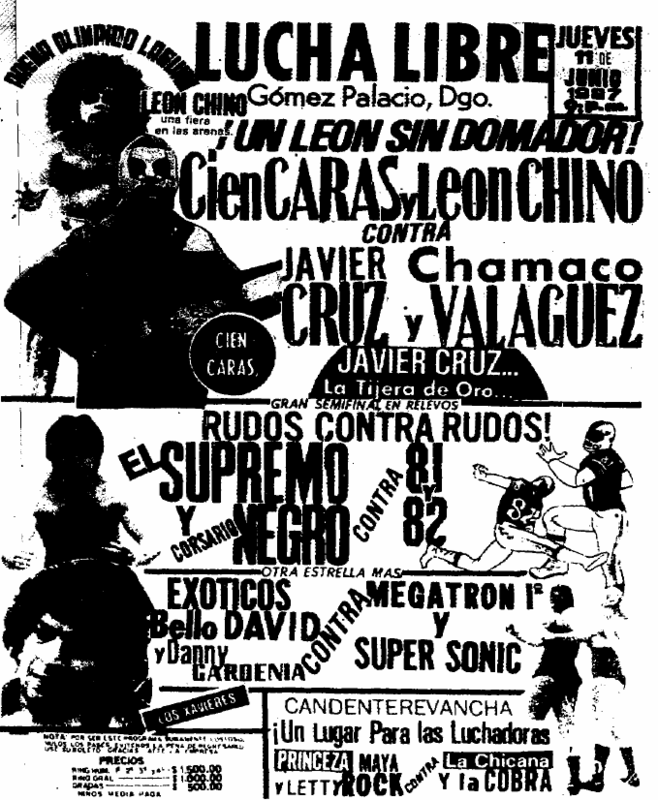 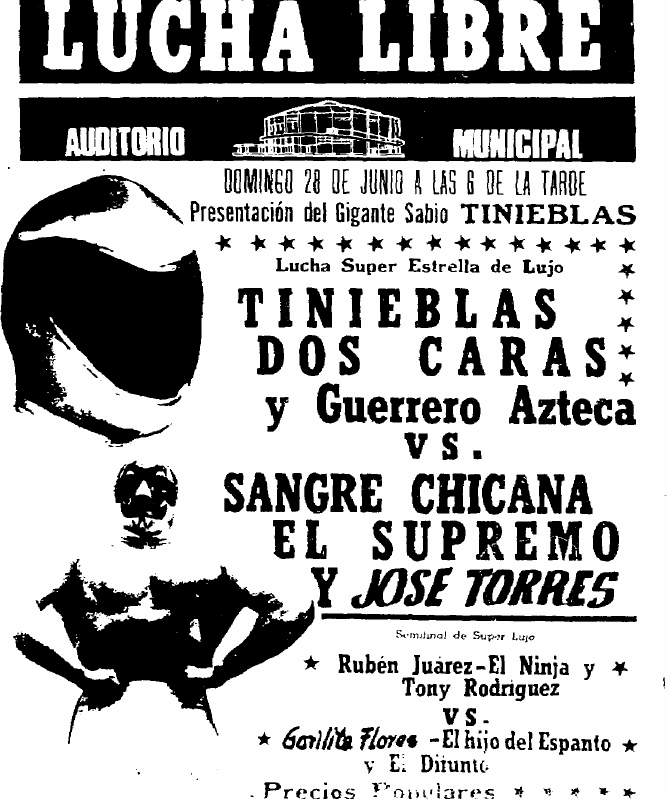 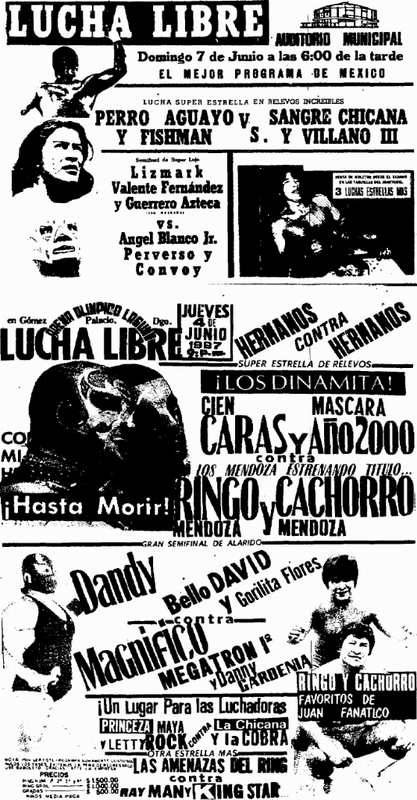 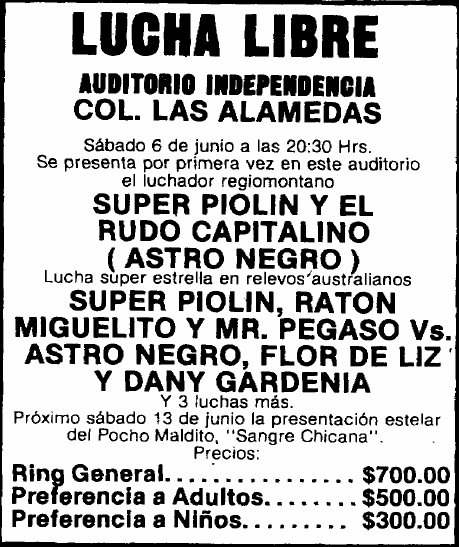 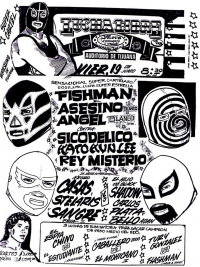 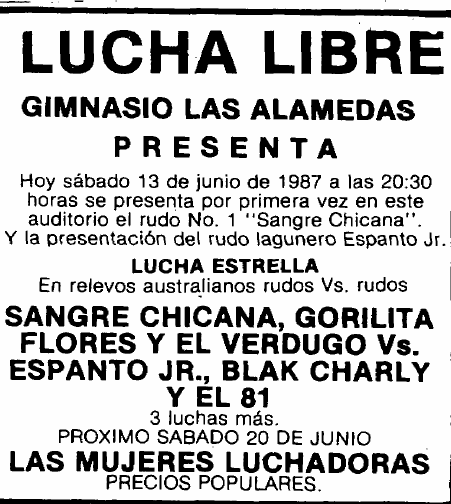 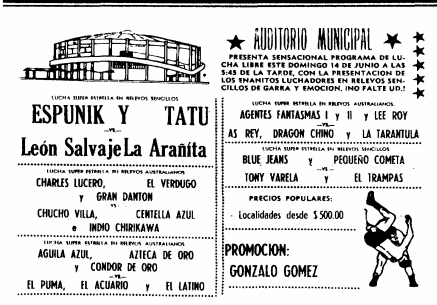 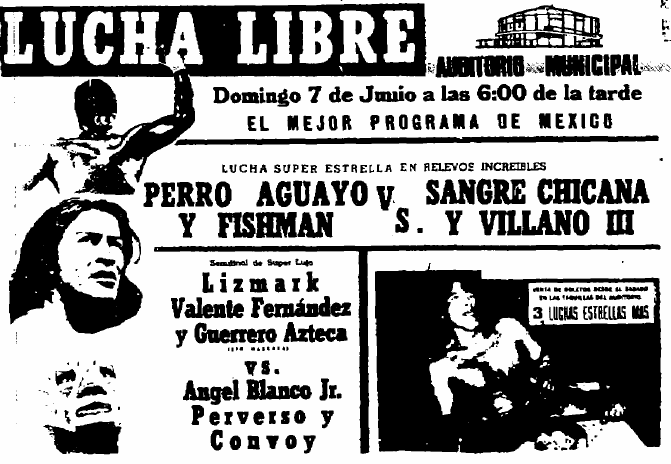 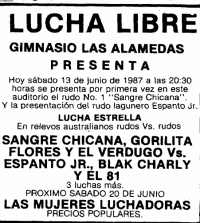 4) Gorilita Flores, Sangre Chicana, Verdugo vs Black Charly, El 81, Espanto Jr. 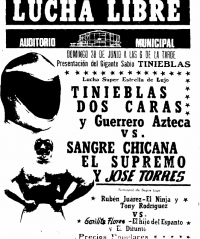 Arena Mexico debut for the women. 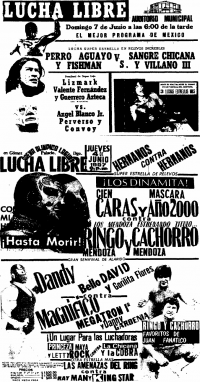 Straight falls, with Chela & Pantera having issues. 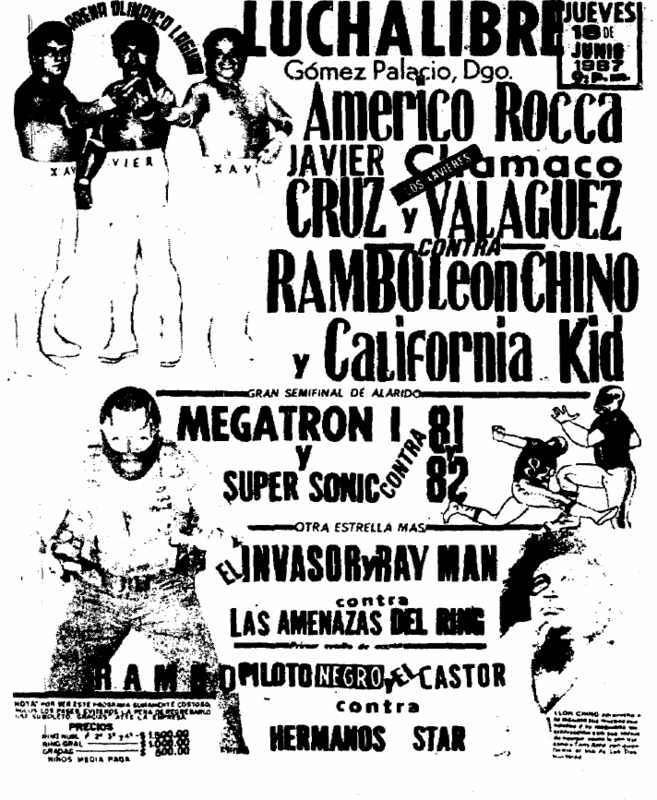 First time the Rayos had teamed. 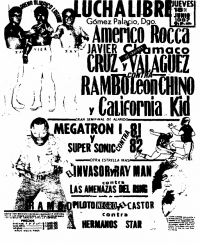 Fouls by the rudos lead to the DQ. 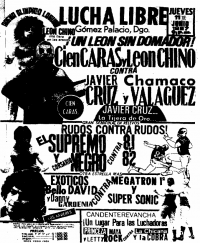 5) Cien Caras, Máscara Año 2000, Universo 2000 vs Alfonso Dantes, Rayo de Jalisco, Rayo de Jalisco Jr.
one million pesos on the line!